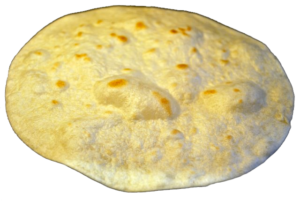 Fresh Pressed Tortillas, Conveyor Ovens & More! Hi Matador Followers! Quick update — In our never-ending quest to keep improving, we have been having a little fun and trying new things. Two big new things we just introduced are Fresh Pressed Tortillas made from scratch and a new Spicy Green Chile. To top it off, we purchased new conveyor ovens that we run your food through once made. The conveyors are fantastic for enchiladas and smothered burritos. It you have not tried it yet, we’d highly recommend getting a burrito smothered in our new Spicy Green Chile with a fresh pressed tortilla. The conveyors do the perfect job of melting the cheese and adding a slight crispiness to the fresh tortilla. Also, for those of you who prefer the Jalapeno Cheddar tortilla (historically our most popular) or any other tortilla choices, they are still available for your choosing. The fresh pressed tortillas are a new addition although your favorites are certainly still available! Drop in and see us and thank you for your constant support! Without you, we would not be here and we really appreciate your business! Matador customers rock! ← Best Breakfast Burrito in Fort Collins! Best Breakfast Burrito in Fort Collins!